The Public Policy Network (PPN) is an informal collective of Australian and New Zealand scholars of public policy and public administration. The annual conference provides an opportunity for scholars to meet and network in a single-stream (no concurrent sessions) format. The 2019 conference will be held at on the City Campus of the University of Auckland, and is co-hosted by the University of Auckland Public Policy Institute, Massey University and AUT. 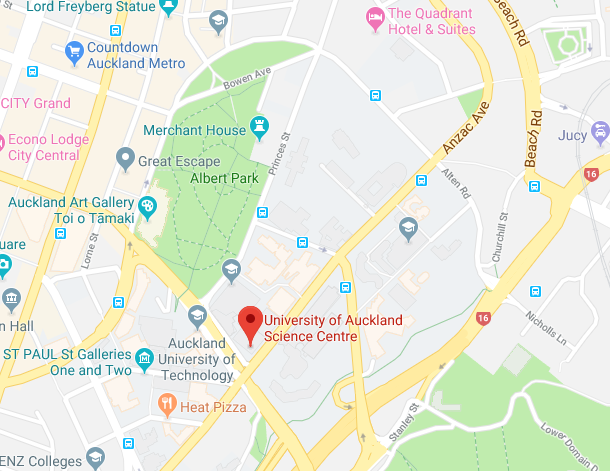 The Public Policy Network Conference 2019 will be held at the University of Auckland's city campus in the Science Centre (Building 302), 23 Symonds Street. There are a number of accomodation options withing walking distance of the University of Auckland, covering a range of budgetary reqirements. The Pullman, The Copthorne, and UniLodge all have a special conference deals available but there several other options nearby. Please send a 300 word abstract to program chair Tim Tenbensel at t.tenbensel@auckland.ac.nz by 10 September 2018. Please contact Tim Tenbensel at t.tenbensel@auckland.ac.nz for further information. Nestled between two harbours, Auckland is New Zealand's largest city brimming with cultural excitement, sea-flavoured challenges and attractions and activities of all kinds.